Emilio Sanchez Maldonado, 17, was found shot outside of his residence in July of 2018, cops say. 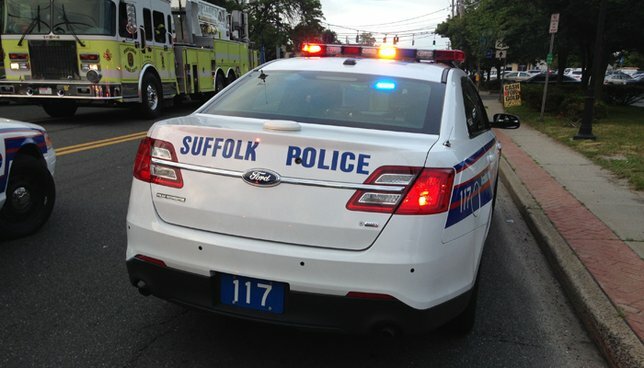 SCPD are seeking the person(s) who killed a teen in East Patchogue. East Patchogue, NY - February 6, 2019 - Suffolk County Crime Stoppers and Suffolk County Police Homicide Squad detectives are seeking the public’s help to identify and locate the person(s) who killed a teen in East Patchogue in July of 2018. Emilio Sanchez Maldonado, 17, was found shot outside of his residence, located at 246 Hampton Ave., on July 3, at approximately 3:32 a.m. He was pronounced dead at the scene by a physician assistant from the Office of the Suffolk County Medical Examiner. Detectives are asking anyone with information to call the Homicide Squad at 631-852-6392 or call anonymously to Crime Stoppers at 1-800-220-TIPS. Subject: LongIsland.com - Your Name sent you Article details of "Suffolk Police Seeking Suspect in Shooting Death of East Patchogue Teen"